Smartphones are driving the world, so it is no more an option but the dire needs of the time to empower it with the latest technologies. The one technique that is ruling the market currently is Artificial intelligence(AI) which is steadily becoming a part of the smartphone industry. Several smartphones released in recent times include AI-focused software and hardware components. The chipsets used in smartphones are now equipped with dedicated co-processors to handle the AI workloads. If you always think that Alexa is getting smarter by the day, then the credit goes to the technology scientists who are working on improving the user experience by making intelligent devices. The leading smartphone brand Samsung introduced its own AI-powered software Bixby that is unlike the virtual assistant Siri on various fronts. Bixby provides users with detailed information about multiple items or location in the real world through its camera app. So, the users no more have to give a voice automated command as one does with Siri and other assistants. The Amazon virtual assistant Alexa can be used by smartphone users to make purchases and track their package on Amazon services. Consumers can also control Amazon-powered services such as Amazon music, Kindle and other smart devices such as light bulbs and security cameras with Alexa. The one feature that AI is continuously focusing on is camera monitoring. The smartphone camera is getting empowered to be able to recognize and pick subjects(food, toy, landscape, fireworks, human, etc.) and provide details about the same or adjust the camera to capture the best possible image. There are enough of applications available that allow you to translate content into a selected language but for that, you need an Internet connection. AI-powered smartphones enable users to take an image with a different language text and convert it to the other without using an Internet connection. Amazon has Alexa, Apple has Siri, Google has Google assistant, and all these virtual assistants are capable of answering your queries, but with the advent of AI they are capable of a lot more than just these basic functionalities. You can use these assistants to make online payments or send a text message or play a song or search for information online. With AI integration one can expect a lot more innovations in near future in these virtual assistants. 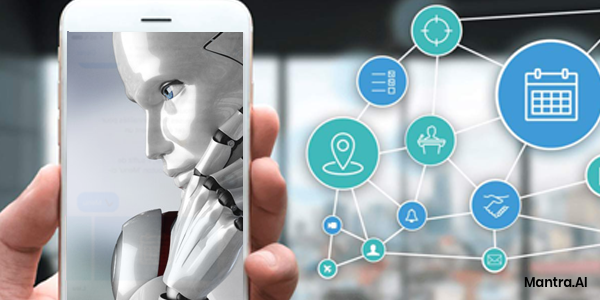 Making AI an integral part of a smartphone is the need of the hour, but if you think that we have reached the pinnacle of AI computing, then that is a mere misconception. Technology carries a label of “Work in progress,” and AI is just the beginning, and it still has a long way to go. We already have read a lot about AI in Insurtech and healthcare, but now smartphones have also joined the AI bandwagon. Artificial intelligence companies are putting in efforts to leverage this technology to the maximum and make things simple for the users. We have to wait and watch what is in the store for the smartphone users in the next few years.